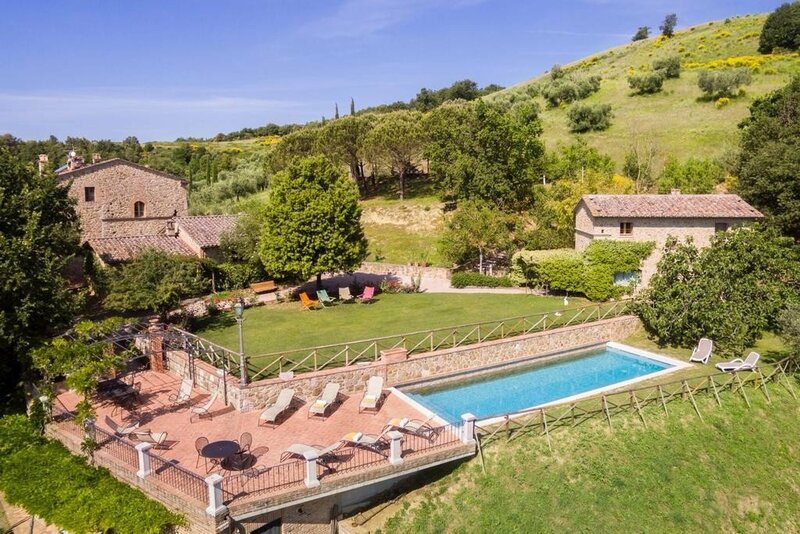 In a very charming 16th-century Umbrian farmhouse near to both Perugia and Lake Trasimeno, Umbria Italy, La Posta agriturismo has a range of lovely, rustic style, rooms and apartments to choose from. Outside you’ll find some beautifully tended gardens, an outdoor swimming pool and all with great views over the surrounding countryside. The ancient farmhouse is surrounded by some almost equally old Dolce Agocia olive trees as well as younger Frantoio, Leccino & Moraiolo trees. They produce organic extra virgin olive oil and a range of jams at the farm, and the owners are always happy to give guests a tour and offer tasting sessions. And they can also arrange visits to local wine cellars. All their accommodation comes with a nice breakfast full of locally sourced ingredients. The owners are very good cooks, you can arrange evening meals and they can also arrange cooking classes for guests on a range of local specialities.